There was an unexpected outcome in this week’s sole council by-election. Last week I wondered whether the summer holiday factor would have an impact on this result, specifically to the detriment of the Lib Dems. Well, this clearly did not happen. It was Labour who suffered. Maybe the absence of the city’s student population hit the party more than it did the others. The Lib Dems evidently have a loyal chunk of support in the city. 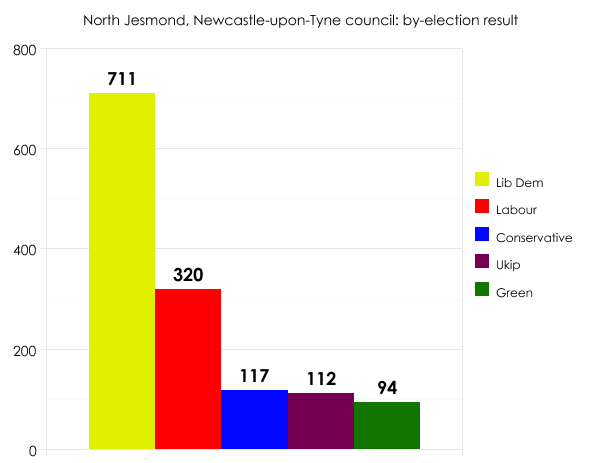 This result means they continue to hold 24 of the 78 council seats. The Press Association has analysed seven comparable by-elections across August and found a projected 2.2% nationwide Labour lead over the Tories. However a calculation based on five wards fought both times by all three major parties gives a line-up of: Conservative 37.4%; Labour 32%; Lib Dem 15.6%. Ukip averaged 26.2% in the six contests it fought in August – a figure helped by its gain at Worthing.